The serious overcapacity and the low price of steel made the iron and steel enterprises struggling in a â€œmicro-profitâ€. At the 5th annual Baosteel Academic Annual Meeting held recently, Xu Lejiang, chairman of Baosteel Group, proposed that the steel industry must transform from traditional manufacturing to service-oriented manufacturing in the face of industry difficulties. He also said that the era of steel e-commerce has arrived. As the theme of the current Baosteel Academic Annual Conference â€œNew Challenges, New Steelâ€ shows, the steel industry is currently facing profound challenges. With the end of demographic dividends, rising environmental costs, overcapacity, and homogeneity of product competition, the elemental cost advantage of traditional steel manufacturing is gradually disappearing. In addition, the macro economy is undergoing transformation, which has caused the entire steel industry's profit margins to deteriorate. . The data shows that in 2012, the average sales margin of the domestic steel industry was only 0.4%, while the listed companies in the steel industry were -0.32%. 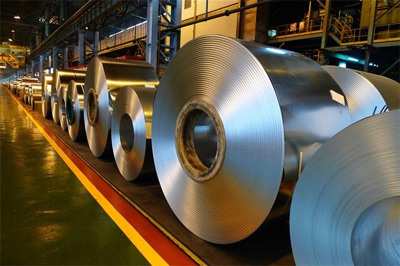 Wang Xiaoqi, deputy chairman of the China Iron and Steel Association, said recently that the profits of the steel industry in the first four months of this year were 1.3 billion yuan, 1 billion yuan, 260 million yuan and 150 million yuan, respectively, showing a straight decline. Xu Lejiang believes that the difference between traditional manufacturing and service-oriented manufacturing lies in the different factors that depend on business models and corporate growth. At present, most steel companies still focus on indicators such as output, quality, and energy consumption, while ignoring the cultivation of customer satisfaction. Sales costs, R&D expenditures, and labor costs account for a low proportion of total expenditures, which is currently the result of overcapacity in the industry. Not competitive. Xu Lejiang said that steel manufacturing has entered the era of meager profits, forcing Baosteel to move toward service transformation. The core business of service-oriented companies is to meet customer needs, while profits are derived from long-term continuous service. At present, Baosteel has continuously explored the transition to service providers and has formed a six-plate steel industry chain structure, including resource development, steel extension processing, technical services, finance, production services, and coal chemical, and gradually evolved from â€œendogenousâ€ to â€œmarketâ€. Type "change. In Xu Lejiang's speech, the e-commerce B2B model was highlighted. Xu Lejiang said: "In the current overcapacity, the oversupply era, e-commerce is a best way, the era of steel e-commerce has arrived." The Shanghai Steel Exchange Center, a steel spot trading e-commerce platform jointly built by Baosteel Group and the Shanghai Baoshan District government subsidiary, was officially listed at the end of last month. It is understood that the center is composed of three service platforms: "Fanda City", "Guest Circle" and "Bao Shida." Among them, "Boshida" was founded in 2003 and mainly sells its own products; "Vanda City" is a platform serving steel producers and traders, similar to the brand product sales platform in physical stores; â€œThe use of a trading model, which is also a trading model for most of the domestic steel e-commerce platforms, provides polymetallic cargo resources and facilitates the matching of small and medium-sized users, which means that Baosteel has placed a full range of steel trading markets.